Featured in the Movie "The Hunted"
This is it. The original. 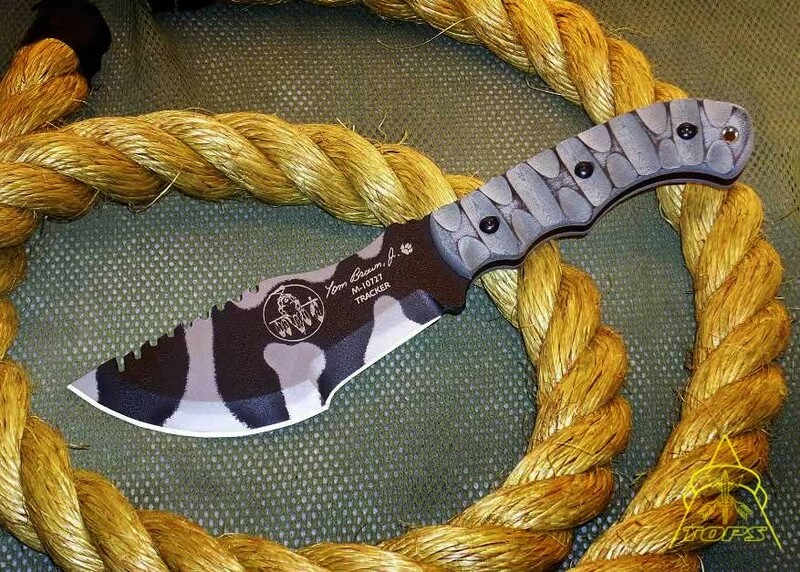 One of the most unique, recognizable knives sold by TOPS. 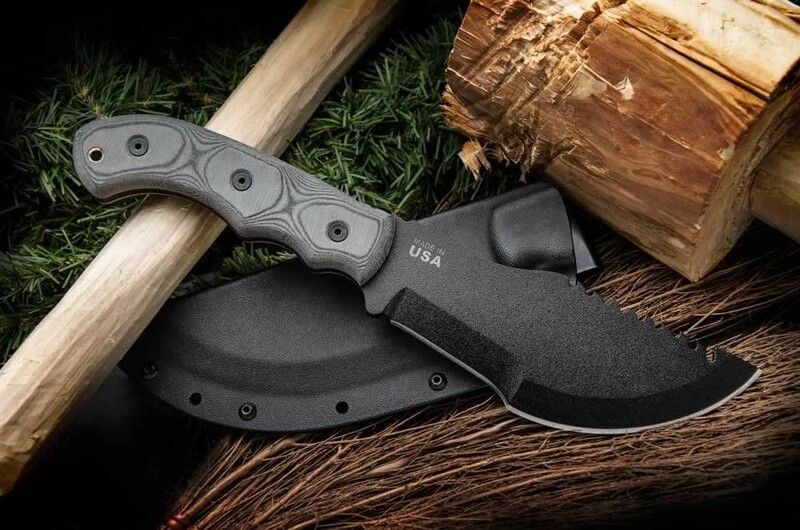 Designed by Tom Brown and featured in the movie "The Hunted" as well as the cover of BLADE Magazine. 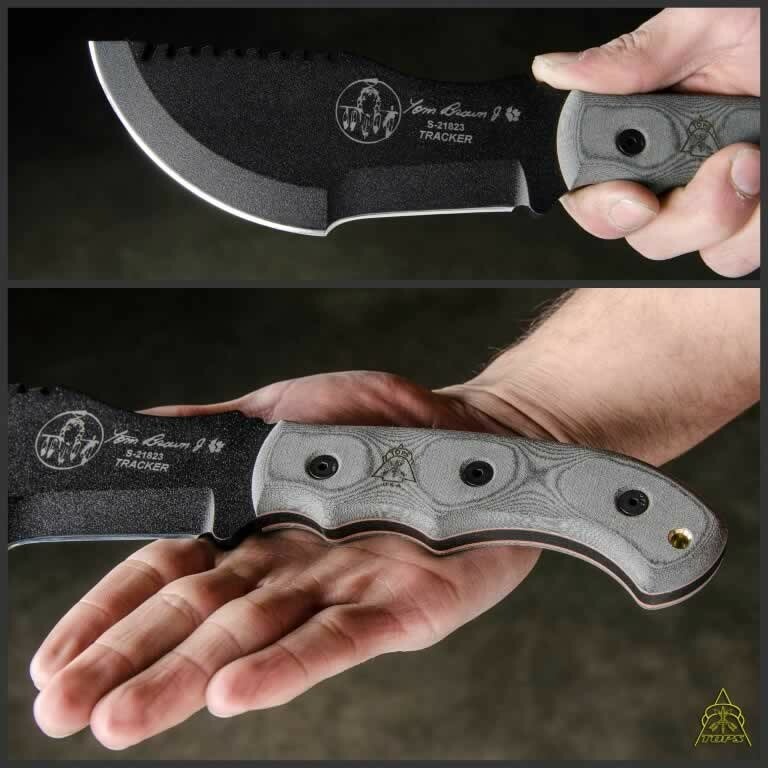 One of the most popular knives we make, the Tom Brown Tracker speaks for itself. I decided to buy this knife to use and review it over an extended period. The only good thing about this knife was selling it to someone else and cutting my losses. The design suffers, the saw teeth are gimmicky and useless, and the tool is too heavy and thick for extended and detailed use. Based on my personal preferences, this tool would only be my option if I had no other options available! Let's just say that having the Tracker would be better than having no knife at all. I get that the concept behind the design of the Tracker was to offer a versatile, one-tool option, but it's only a jack of all trades and master of none. Can it chop and cut and perform some tasks? Sure. But can it chop and cut and perform tasks well? IMO, the Tracker lacks and performs sub-par to other larger knifes I've used. I'd rather have improved functionality of a 4"-5" knife for knife tasks and then carry a small hatchet for chopping tasks. Or, if looking at a one-tool option, there are several other larger "chopper" knives I'd rather use over the Tracker. Unfortunately, as a one-tool option, the Tracker is a poor choice; I'd much rather carry a few ounces more and an extra cutting tool (knife and hatchet) than select to only use the Tracker IMO. As far as TOPS quality, TOPS makes great knives! And as far as build and craftsmanship, the Tracker is no exception. This tool is built to last and the quality is excellent. My gripes are specific to design, use, and functionality. One of the best knives ever. This is one of my favorite knives I have ever owned. It does everything I need it to do when I'm out in the woods. There are only 2 down sides. 1st... 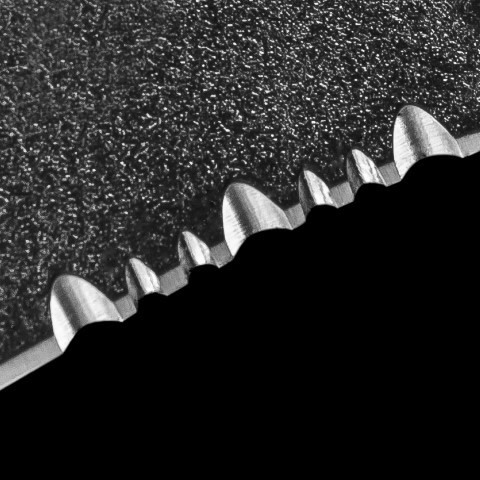 The teeth for the saw are a little too easily rounded off. 2nd... The sheath... Holy Hell Fire!!! This thing is the worst sheath for a survival knife. It's very difficult to in a position for a quick and easy draw of the knife and it's very loud. It rattles around and scares off the game. 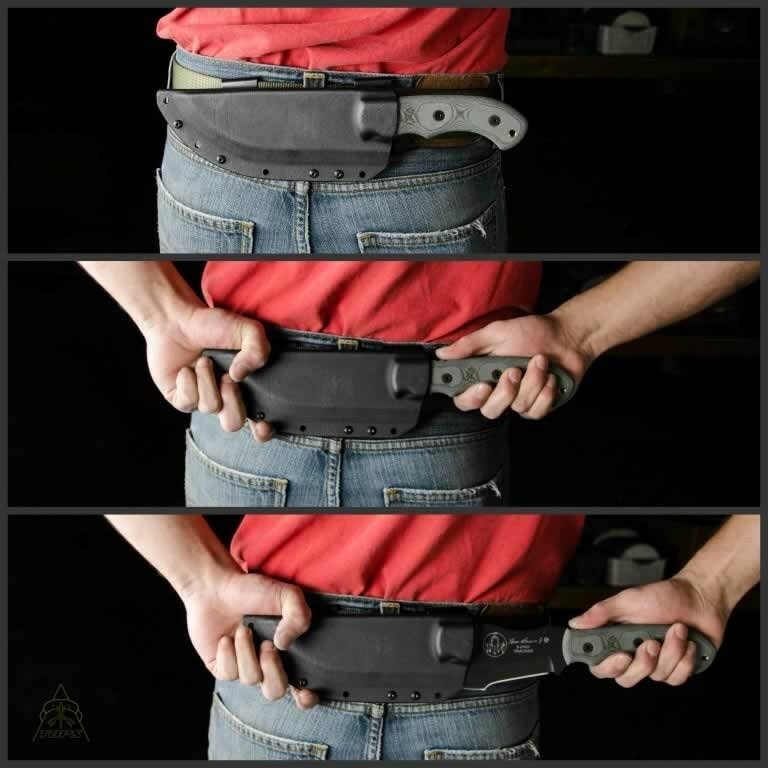 I give the knife a BIG A+ and a bigger F- for the sheath. 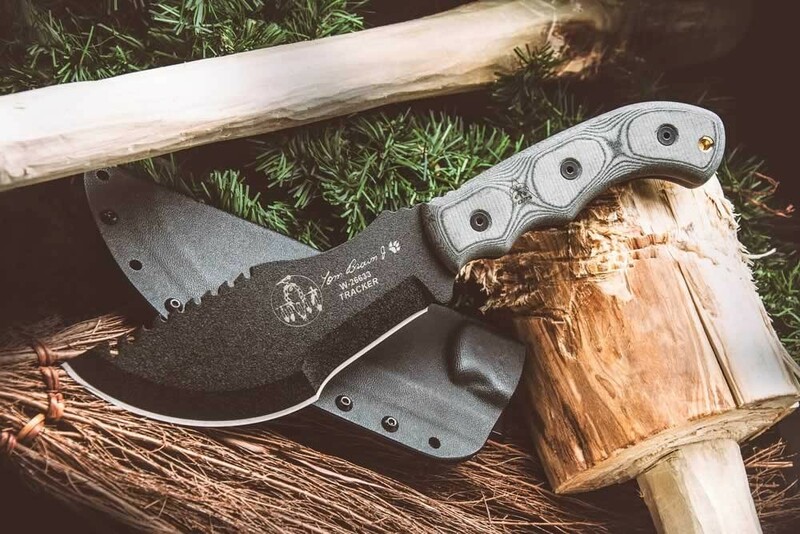 Still... Tom Brown Tracker... One of my top 5 choices for a All-Purpose survival knife. best knife I've ever owned, and I make knives. I've had my Tracker and Tracker Junior for just about 10 years now. I'll never need any other tool. The design is well thought out, the grip is great for chopping and the heavy tip is fantastic for chipping for tinder. 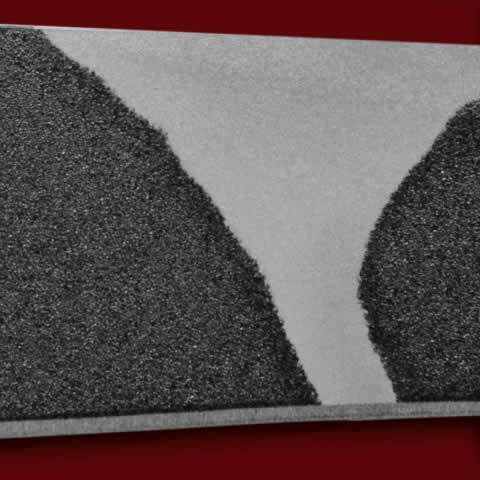 The edges are perfect for field dressing game, the scabbard allows you to wear it on the hip or lower back, which is great for hiking. 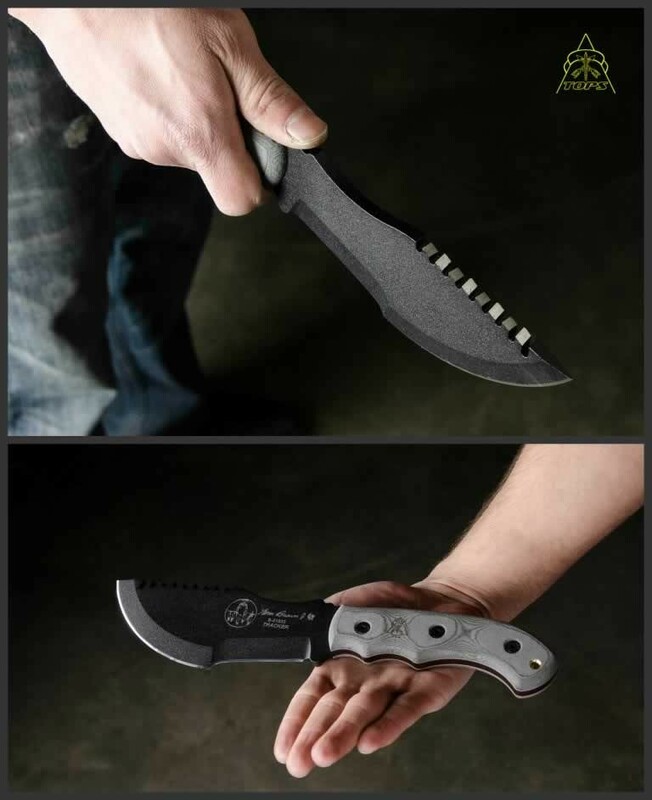 The Tracker Jr is small enough to make a spear, and both knives are evenly balances enough to throw at short distance. The flat edge is acceptable as a hammer and wedge. Overall I rate this a 9.5 out of 10, my only offering is that the blacking finish tends to rust (over 10 years of hard use though). Also, they let me send it in to Top Knives and they sharpen it and somehow improve the scabbard every year or two. Bottom line is, this beats the crap out of a K-bar. Kudos. 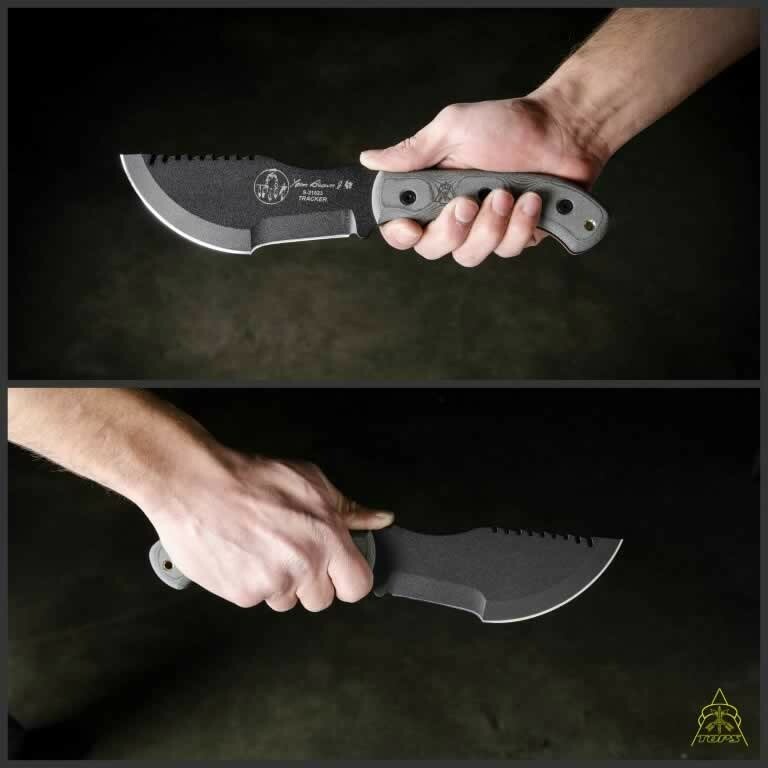 Saw this blade in the movie "The Hunted" and was immediately drawn to the design. I was lucky enough to barter some work with a client who had one and had many adventures with it over the years. (I got it back in 2007.) It handled pretty much everything I could throw at it and eventually I gifted it to my Nephew who is a "True" bushcrafter and hunter. He loves it and was thrilled when I gave it to him three years ago. He's been using it ever since. 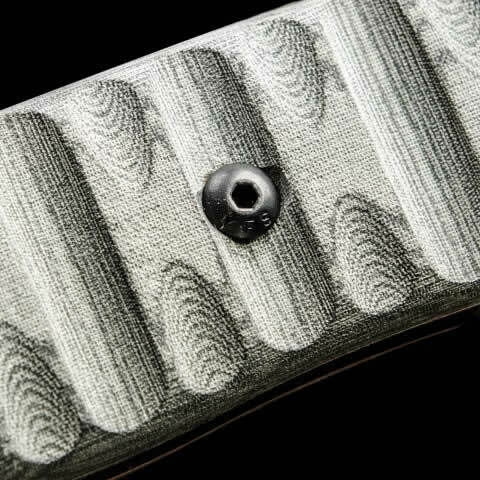 The blade is solid and handles serious abuse. I haven't been able to get my hands on it since gifting it and starting my Angry Jackalope Show [So no, I haven't taken it to any frozen pig heads]. I have no doubt though that it'd do very well in my testing. I do know that in the past I used it to process wood. I did some prying of wooden planks and I did take apart a drywall... I also used the sawback to do some notching on wood.